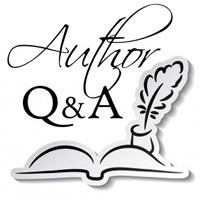 We are delighted to welcome author Michael Niemann to Omnimystery News today. Michael's third in his series of international thrillers featuring Valentin Vermeulen is Illegal Holdings (Coffeetown Press; February 2018 trade paperback and ebook formats) and we recently had the opportunity to spend some time with him talking about it. Omnimystery News: What is your favorite part about exploring your series charactger Valentin Vermeulen? How do you go about keeping the series fresh for you as well as your readers? Michael Niemann: As I write, I discover new sides of Valentin. For example, his musical tastes have changed since the first novel. He’s turned from a fan of punk and The Clash into someone with broader tastes. Although he went through a divorce (for which he bears a fair amount of responsibility), he’s found love again and moved in with his lover Tessa. That wasn’t even on his horizon at the end of the first novel. I think the series stays fresh because the circumstances in which he finds himself change dramatically. There is always a new context, a different location, added language problems. Unknown aspects of personality reveal themselves as he tackles these. The nature of the criminal activity he uncovers poses fresh challenges. OMN: For readers who may be new to your thrillers, what can you tell us about Valentin? MN: He’s a middle-aged, blond, white man, originally from Antwerp, Belgium. After finishing his mandatory service in the Belgian military, he studied law and went to work for the Crown Prosecutor’s office in Antwerp. He married his college love and had one daughter, Gaby. His singleminded pursuit of his work led to the breakup of his marriage and estrangement from his daughter. In the aftermath of that mess, he needed to get away from Antwerp and took a job at the United Nations Office of Internal Oversight Services, where he works as an investigator, ferreting out fraud across the vast network of UN operations. OMN: Suppose Valentin was interviewing you. What would be his opening question? And what would your answer be? MN: His question: Why in the world did you make me a Belgian? My answer: When I started thinking about a protagonist, I knew I didn’t want someone in the vein of James Bond or Jack Ryan. That over-the-top nationalism just didn’t fit the stories I wanted to write. So as I thought about you, I wanted to minimize that and I figured that Belgium today has not much of an ax to grind in terms of global ambitions. And since I knew you liked beer, what better country to choose? OMN: If you could travel anywhere in the world to do research for your next book, all expenses paid, where would that be … and why? MN: Hmm, that’s a difficult question to answer, as the next manuscript for the next Vermeulen novel is close to being finished. The one after that is only a vague shape in my head. One possibility would be Haiti, since the UN operations there have had a terrible impact from bringing cholera to the sexual abuse by peacekeepers. That would be a case for Valentin to investigate. OMN: Describe your writing process. Do you outline your plots or create biographies of your characters? Do you write a detailed synopsis then expand from there? Do you let the story develop as you write? Does your expected cast of characters expand/contract as you write the story? MN: My process has changed between the first and the third book. I used to start with a vague outline with some ideas for the beginning, the middle and the end. The most recent manuscript started from an opening scene with four unnamed characters—one dead and three trying to get rid of the body—and developed from there. I didn’t know who these characters were. Valentin shows up rather soon after that but I had no connection between him and those characters. It was a lot of fun letting the story create these connections. As to biographies, I do those sparingly. Valentin’s bio wasn’t even written down until I started the publicity for this book. The main secondary characters develop from a rough sketch I have in my mind. OMN: As a reader, when selecting a book to read for pleasure, what do you look for? MN: I look for books that take me places I haven’t been before. Not necessarily physical places, but emotion and conceptual spaces. I look for voices in crime fiction that haven’t been heard before. I particularly like to discover crime fiction from African authors. OMN: What are your hobbies, interests outside of writing? Do any of these activities find their way into your books? MN: I still teach at the local university and, while that might not seem like a hobby, I do enjoy interactions with students very much. I like cooking and baking. I bake most of the bread eaten in my house. Walks with our dog are top of the list, especially when my story seems stuck. Trips to the Oregon coast are always amazing no matter what time of the year. I guess the only aspect that finds itself into my books are food related. Valentin likes good food and is open to new flavors. I think of my cooking that way. MN: As I mentioned earlier, the next Vermeulen manuscript has gone to the publisher. The journey to publication is always twisty. This one is set in southern Turkey and deals with the refugee crisis caused by the war in Syria. Michael Niemann grew up in a small town in Germany, ten kilometers from the Dutch border. Crossing that border often at a young age sparked in him a curiosity about the larger world. He studied political science at the Rheinische Friedrich-Wilhelms Universität in Bonn and international studies at the University of Denver. During his academic career he focused his work on southern Africa and frequently spent time in the region. After taking a fiction writing course from his friend, the late Fred Pfeil, he embarked on a different way to write about the world. For more information about the author, please visit his website at Michael-Neimann.com and his author page on Goodreads, or find him on Facebook and Twitter. UN fraud investigator Valentin Vermeulen is on assignment in Maputo, Mozambique. His ho-hum task is to see if Global Alternatives is spending UN money the way they promised. The nonprofit was set up by hedge fund mogul Vincent Portallis to revolutionize development aid. The only upside for Vermeulen is the prospect of seeing his lover Tessa Bishonga, who is reporting on foreign land acquisitions in Africa. When Vermeulen notices that a five-million-dollar transfer has gone missing, he is given the run-around. First he is told the files have been mislaid, then stolen, then he is assured that the money was never transferred to begin with. But the money was transferred, so where is it now? Vermeulen’s dogged pursuit of the missing transfer makes him the target of some ruthless operators. And once he meets up with Tessa, she is inevitably sucked in to the story as well, which turns out to be far more nefarious than either of them imagined. Now they are both in deadly danger. Thanks for publishing the interview.